I finally jumped right into a major work in color. 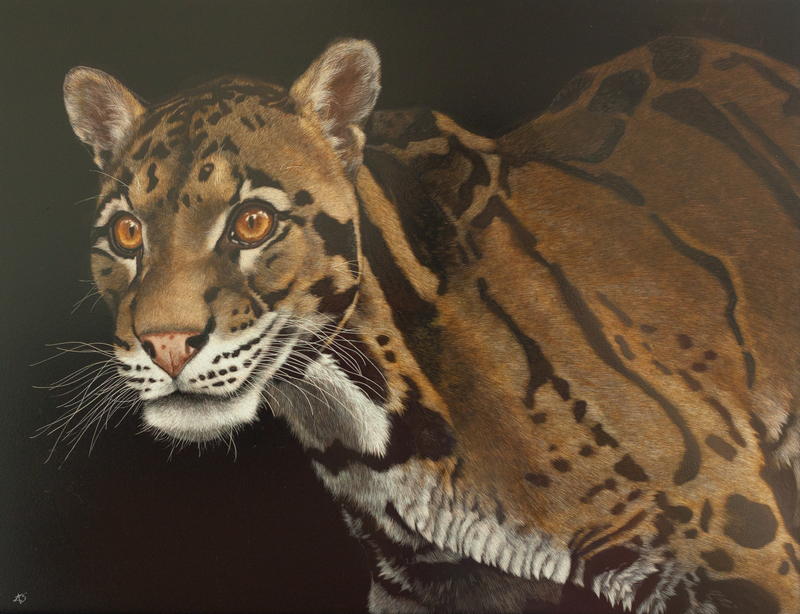 This is a clouded leopard, 16X12. It has at least six layers of scratching and ink, with a few more in some areas. I’m still learning what NOT to do, but I’m liking the direction these pieces are going.